My latest PopMatters article is now live: Legendary and Deck Building Games. In one of our recent EXP Podcasts, I talked about this Marvel superhero licensed board game with Scott, but a five minute chat wasn't enough. I fell in love with Legendary and I could not stop gushing. A decent chunk of the article is a familiar criticism I have with what I call "minimally-interactive" board games. These are games that largely undermine one of the best things about board games: they are, by necessity, social experiences. I include most worker-placement games and deck-building games in this bunch. Legendary manages to surpass all of these titles by creating a incredibly social and largely cooperative experience while using many of the core mechanics from the deck-building genre. While I think anyone could hop into a quick round of Legendary and have a really good time, I actually think Marvel fans will get the most out of the narrative experience. Underneath the "systems management" enjoyment of the game's mechanics is a really fun storytelling game. 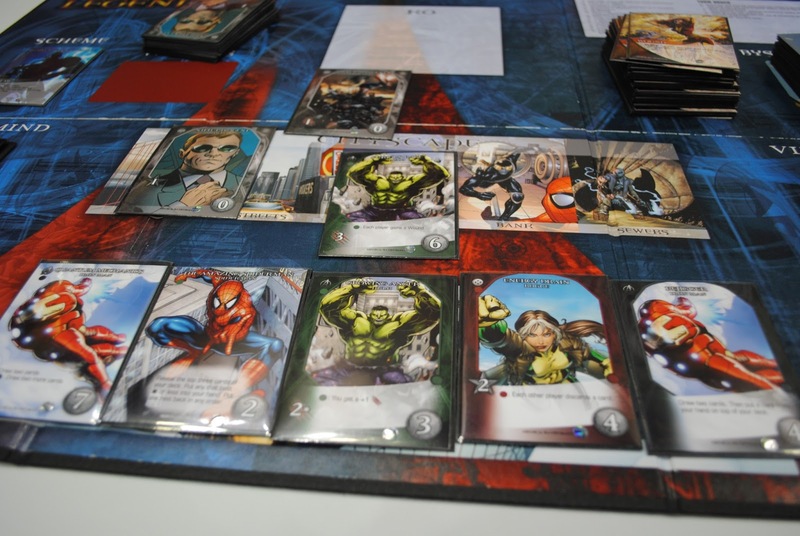 The sense of forging a team of unique superheroes together is strong at both the personal level, in building one's own deck, and on a team level, working with other players and their decks to overcome the Master Mind. Every combination of superheroes also recreates some of the over-the-top and ragtag team dynamics you find in comic books. Spider-man working with Rogue, Captain America, The Hulk, and Wolverine, all against Loki and an assortment of villains, makes for an entertaining imaginary battle right from Marvel lore. The unique heroes, with their own set of abilities and effects, make for some immensely satisfying combinations that remind me of the Marvel video games, whose combination attacks are always a highlight. Like some of the best games, Legendary was clearly made by a team who designed the game with great care and affection for the Marvel experience.